For this restaurant review, Leanne Kelsall booked an appointment with the Evans & Peel Detective Agency. 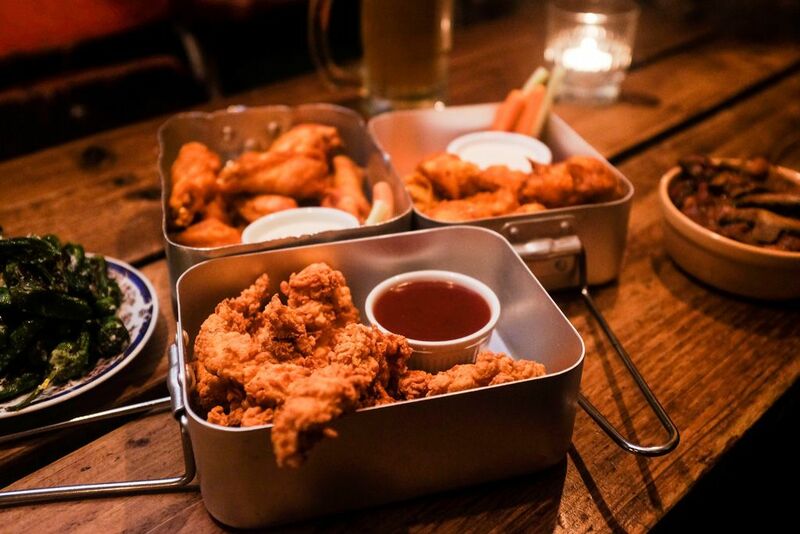 She needed first-hand information on the Smokehouse menu, we’re pleased to say they took the case. 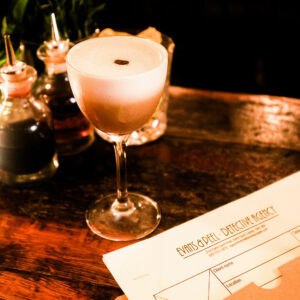 Last week, detective-themed Earl’s Court speakeasy – Evans & Peel – launched its new Smokehouse menu. So, we booked an appointment with the detective to try, or rather, investigate their new in-house smoked meats. Entry to the hidden, underground bar is via an inconspicuous black door. Before you get into the bar though, you’ll need to get permission from the detective. We won’t spoil that part for you. Once inside you’re in for a rip-roaring evening. 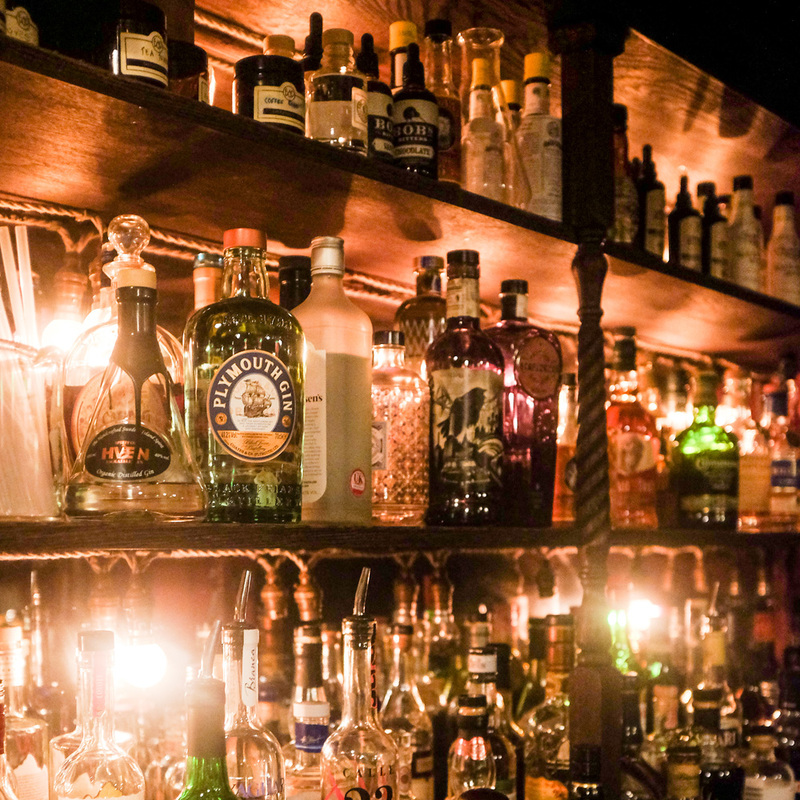 The barely-lit bar is inspired by the Prohibition era, with low ceilings, exposed brickwork, quirky props and creaky tables and chairs. It’s all good fun and though dressed in dapper attire, the bartenders aren’t in character, so you don’t have to keep up the façade if it’s too much. 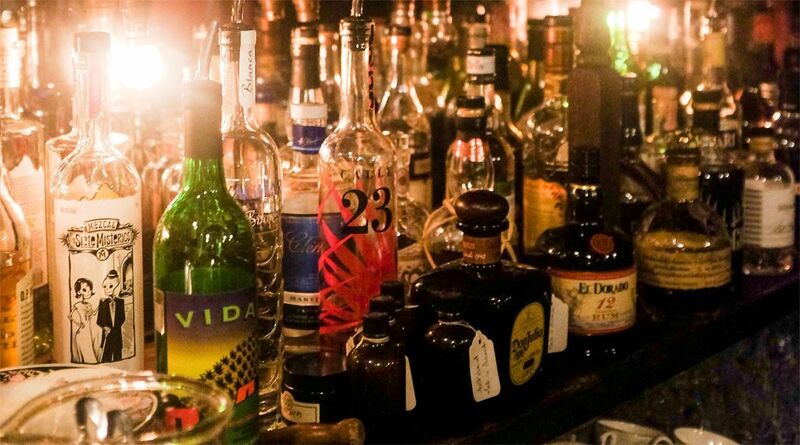 The cocktails are superb and include imaginative ingredients and house spirits. For something bold and botanical, go for the Librarian’s Liberation. The Not Your Average Joe Martini is dangerously moreish, with a punchy hit of Bourbon. So, about that new dinner menu. 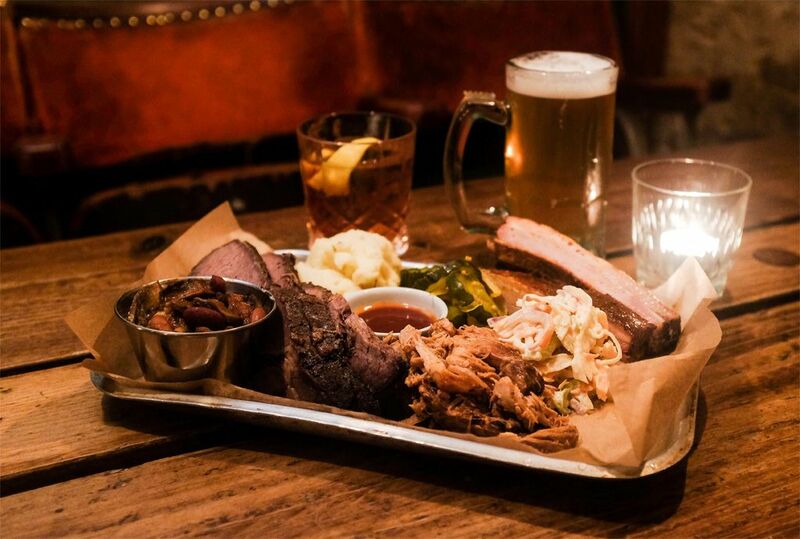 All meat on the Smokehouse menu has been lovingly rubbed and smoked in-house for up to 17 hours. Most importantly, the meat is locally-sourced and top quality. This is South American comfort food at its finest. Choose from slow and low-cooked BBQ meat, like spare ribs and beef brisket, or a vegetarian option of eggplant and mushroom brisket. 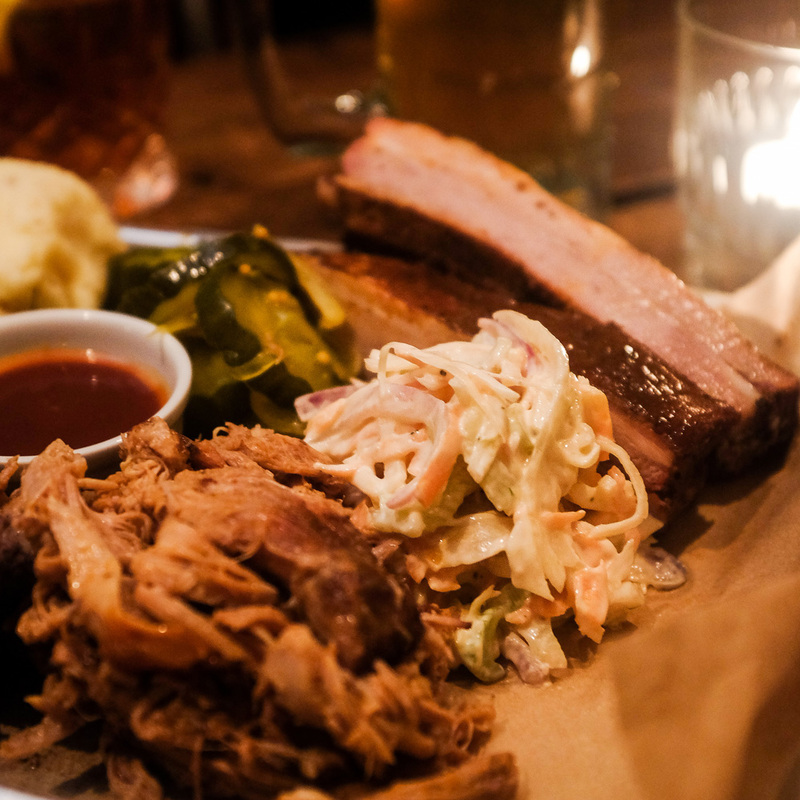 The pulled pork was our favourite dish on the menu. The portions are gigantic and sides include rustic buttermilk mash, creamy slaw, smoky BBQ beans and pickles for a bit of crunch. We’d heard great things about the mac ‘n’ cheese and weren’t disappointed when it arrived by the bucket load. 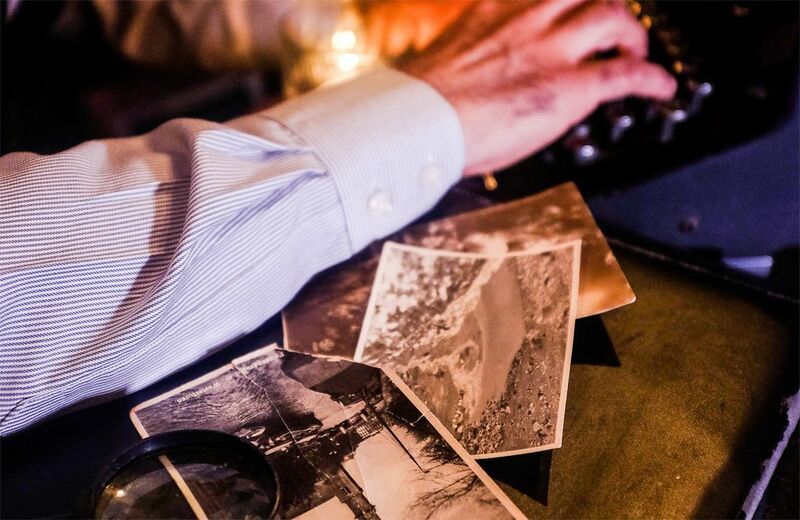 Evans & Peel Detective Agency is still one of London’s best-kept secrets and now, as well as superb cocktails with a side of riveting roleplay, you can enjoy decent dining too. It’d be a crime not to visit. Evans & Peel Detective Agency – Where and How? 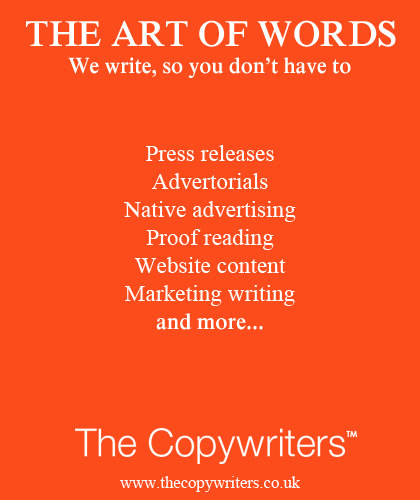 Evans & Peel is located at 310c Earls Ct Rd, Earls Court, London SW5 9BA. For bookings or to find out more, visit www.evansandpeel.com. The Smokehouse menu is served from 7pm-10pm and a bar menu from 5pm-10pm. 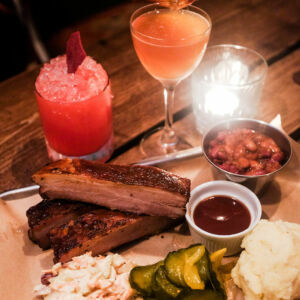 The sister bar – Pharmacy, Chiswick – will also serve small plates of the Smokehouse menu and a bar menu from 5pm-10pm.